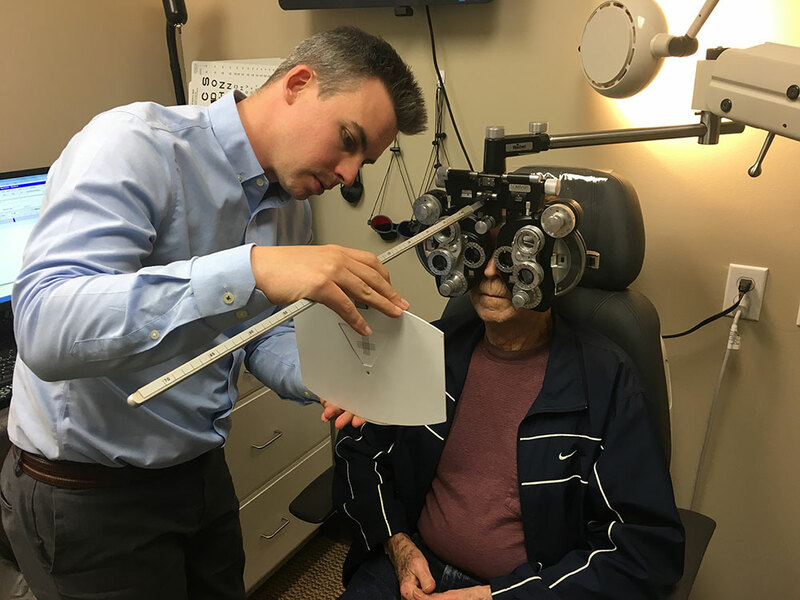 Vision Rehabilitation Center of the Ozarks offers a comprehensive vision program for people experiencing vision loss due to macular degeneration, glaucoma, diabetes and other eye conditions to increase and/or maintain independence and quality of life. The optometrists and occupational therapist at VRCO specialize in low vision services to people of all ages. Low vision is a partial loss of sight. It is often a loss of visual acuity or sharpness, but may be a loss of side vision or extreme difficulty with light or glare. Low vision exists when these conditions cannot be corrected with eyeglasses, contact lenses, medication or surgery and interferes with normal activities of daily living. Low vision services do not cure the cause of low vision, nor do they replace the need for other concurrent treatments such as surgery or medical care, although they do maximize remaining vision.